...from under heavy snow, jet-lag, heaps of blankets, my luggage... you understand, right? I landed in Toronto on the night of December 6th, maximum allowable baggage weight in tow. 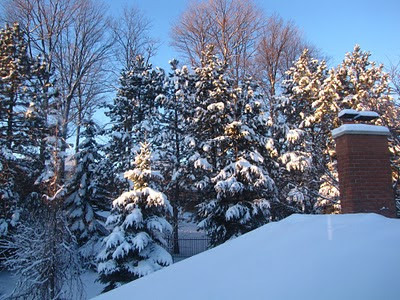 It was not a good feeling to find winter settled early in Ontario with its snow, ice and harsh cold winds. I had been very much enjoying Hong Kong's sunshine and comfortable warmth but that was now 15 hours behind me. Since returning to my parents' home in Waterloo, I have been recovering from the haze of jet-lag, suffering from and then recovering from the flu and then gradually rejoining society (i.e. Christmas shopping, knitting and going to the gym). That's it, really. When I was sick, I didn't leave the house for three days which is really something if you consider that the week before, I'd been through three countries in three days. I have a mental list of a couple dozen posts for greentea.tk about the last few months but I'll start off with a photographic account of my four days in Hong Kong.